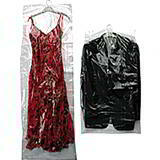 Clear polythene bags are one of the most popular forms of low cost packaging. 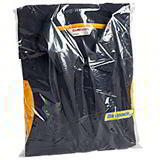 Also referred to as polybags, they provide hygienic protection against dust and moisture while keeping contents visible. 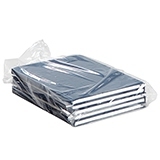 Our clear polythene bags are available in a range of sizes from small plastic bags (100 x 150mm) to large polythene sacks (900 x 1200mm) and in a range of grades from light (20 micron) to heavy (125 micron) duty. 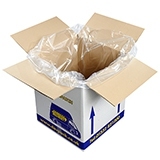 All our clear polythene bags are available immediately from stock, so order any working day before 2:30pm and we’ll dispatch them to you that same afternoon! 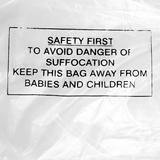 To most people, a plastic bag is a plastic bag. 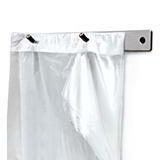 It’s one of the most commonplace household items, often opened and thrown away without a second thought. 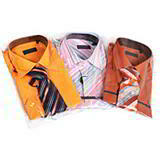 Not to us, here at Davpack! 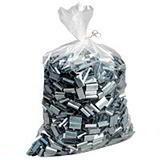 As the UK’s leading online supplier of packaging materials and the trusted supplier of over 10 million polythene bags to our UK customers every year, we recognise their importance in keeping all manner of essential goods clean and dry, from food and clothing to nuts, bolts and machine parts. 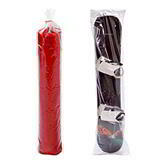 We have a huge range of combinations of size and strength available direct from stock, from 100 x 150mm, 20 micron light duty bags to heavy duty polythene bags over 1 metre long and made from the toughest 125 micron plastic. Or there’s even our massive 1200 x 2300mm, 100 micron bag, with a 2000mm gusset – that’s big enough to fit a fridge freezer in with room to spare! 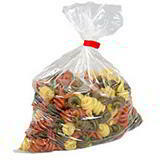 Basically, if you can’t find the right poly bags for your product here, you’re not looking hard enough! 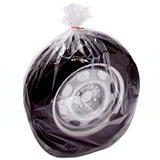 Once you’ve found the right bag, you need to make sure you can give it an airtight seal, so you can be confident that the contents will stay free from contamination. 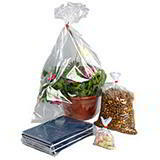 If the right bag was one of our zip lock bags, grip seal bags or self seal bags, then that’s easy! 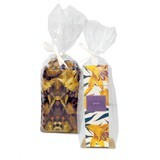 They also have the bonus of being usable time and time again and many are suitable for food use. 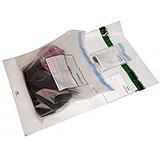 But don’t worry if you’ve chosen standard clear polythene bags, or even some layflat tubing, because we’ve more options yet! 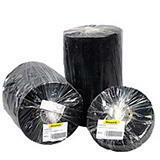 You might like to use some 9mm vinyl bag sealing tape (the kind that keeps your loaf of bread fresh at the bakery or supermarket!). 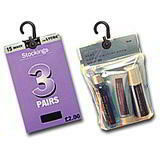 It’s easiest and quickest to apply if you use one of our handy dispensers! 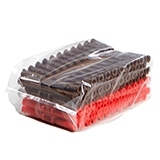 Or you could invest in a heat sealer, which will quickly and effectively seal a poly bag, or you could even create your own custom polythene bag by using it with some layflat tubing! 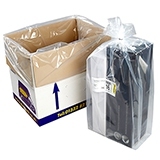 Polypropylene bags or cello bags, are also perfect for displaying products in shops and stores, not only keeping them clean, but looking at their best. 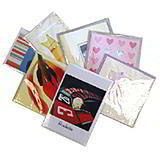 Clothes, greeting cards, sweets and toiletries are all ideal for these kinds of bags – some even come with resealable adhesive strips for even greater convenience! 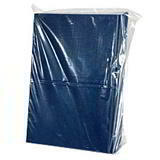 All our polythene bags are of the highest quality and are available from stock ready for immediate dispatch. And, what’s more, although they’re already priced to keep you coming back for more, for larger orders you can save up to 25% on the basic price!